One day, you noticed a group of unfamiliar men walking around your neighborhood. They broke into the house next door, took some things and drove away. The next day, a theft incident was reported and the authorities interrogated you about the number of thieves you saw. How would you say it... in Korean? There are two ways to do it, but you have to take note of the following points first. When counting people or any kinds of people (thieves, police, neighbor), we use the counter "명" with Pure-Korean numbers (하나, 둘, 셋, 넷, etc). However, in actual use, the first four numbers undergo a little transformation and they become 한, 두, 세, and 네. The rest of the numbers remain the same. For the first pattern, the noun comes first followed by a number and the counter "명". Hence, "one person" is "사람 한 명". For the second pattern, the syllable "의" is added to 명, but this time, the "noun" shifts its position from beginning to end. 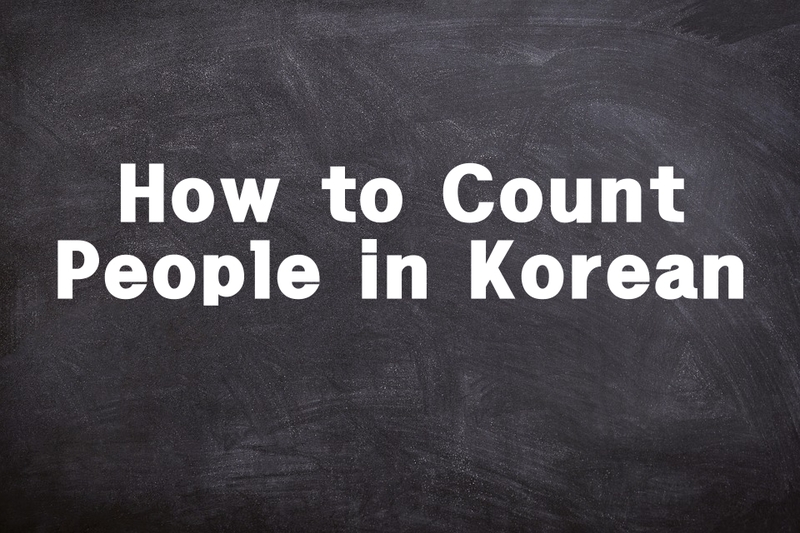 Hence, "two people" is translated as "두 명의 사람 ". Please pay attention to the spaces. You can also replace "사람" with other noun forms like 친구 (friend), 아이 (child), and 학생 (students). When we use figures instead of the spelled numbers, we don't put a space between them as in 친구 3명, 아이 5명, and 학생 25명. 우리 반에 남자 학생은 3명만 있어. Now, if the noun refers to someone respectable such as 선생님, 할아버지, or 원장님, we use 분 instead of 명. 지금 우리 학원에 선생님 3분밖에 없어요. Lastly, it is also common to hear people say 친구 하나, 학생 둘, and 남자 셋, but this is rather informal. The first four numbers do not transform at all. 저 질문 하나 있는데요. 물어봐도 돼요? I have a question. May I ask?